Other offers you can find are a 4 nights getaway at Windjammer Landing Villa in St Lucia for $2,199 pp, the 4 star Melia Nassau Beach Resort for $175 a night, an all inclusive vacation at the Divi Carina resort in St Croix for $1,299 pp and more. Act fast, there deals will sell out soon! If you book this vacation, you will get a round-trip airfare from Fort Lauderdale to St Kitts, 5 nights stay at the St. Kitts Marriott Resort and The Royal Beach Casino plus taxes and fees. Note that meals are not included. At the 4 star resort you would stay in a room with one king or two double beds, air conditioning, mini fridge, cable TV and so on. 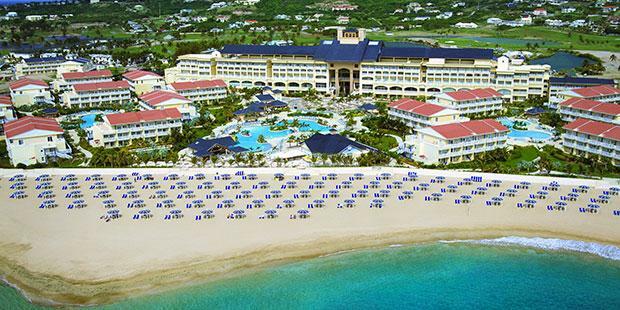 St. Kitts Marriott Resort has got the largest casino on the Caribbean as well as a golf course, pools, beach jacuzzi, lots of activities and dining options. Before you book this St Kitts vacation package deal, you should choose some providers from the box and compare their rates for similar offers, then book the cheapest one.